According to a former staff director of a Senate investigations subcommittee, in the years between 1935 and 1953, the Communist Party usa “enlisted the support of at least 3,500 professors” (J. B. Matthews, American Mercury, May 1953). Documents from the Soviet archives revealed that even after the collapse of the Soviet Union, the Communist Party usa received $2 to $3 million each year from the Kremlin. This funding was to further the party’s subversive activities. Communists first corrupt, pollute and agitate from within. But their final phase is a violent overthrow of the government. They aim to destroy the system, because they can’t build another one until that happens. The Communist attack from within America is far more significant than you might realize. We are staring it in the face today. In 1974, U.S. President Richard Nixon resigned from office over the Watergate scandal. It was discovered that the Nixon administration had broken into the Democratic National Committee headquarters and tried to cover it up. Many Americans these days know little about what happened at Watergate. To them, it is a scandal that brought down a corrupt president. But there is much more to the story. President Nixon was a staunch opponent of communism, and the left hated him for it. At the time of Watergate, Rupert Murdoch, who owns Fox News, said: “The American press get the pleasure in successfully crucifying Nixon, but the last laugh could be on them. See how they like it when the Commies take over the West.” He was only one of many people who were thinking that way. What happened at that time has a lot to do with what we see today. What happens if the far left gets control of the Democratic Party? Well, if it is elected, then it gets control of the government, the nation and everything that matters. Now, more evidence has emerged backing up this view of what happened in the Watergate scandal. Geoff Shepard has documented it in his book The Real Watergate Scandal. Shepard served as deputy defense counsel for the Nixon administration during the Watergate hearings. “It was the first and, hopefully, the only presidential resignation in our nation’s history,” Shepard told the Washington Times. “But it seared my soul, and I’ve spent many intervening years trying to understand how everything went so wrong” (Aug. 10, 2015). “Four decades later, I’ve begun to appreciate what the real tragedy was. In one of the ultimate ironies of political history, it appears that the smoking-gun tape [an audio tape in which Nixon apparently sought to limit the fbi’s investigation, and for which he was prosecuted for obstruction of justice] has been totally misunderstood, that the president need not have resigned, and that he was actually driven from office—and his senior aides imprisoned—through highly improper actions of judges and Watergate prosecutors” (ibid). “Documents I’ve recently uncovered in the National Archives tell a tale of secret meetings, secret memos and secret collusion that will shock many Americans and that constitute flagrant violations of our Constitution and its Bill of Rights …,” Shepherd wrote (Washington Times, op. cit.). The people who were supposed to be protecting the Constitution and the Bill of Rights were trampling all over it behind closed doors. This was supposedly in pursuit of “justice” for a lawless president! “Shepard said the left’s disdain for Nixon began when he was a congressman in the 1940s and brought down Soviet spy Alger Hiss, who was regarded as a leftist hero” (Townhall.com, Aug. 9, 2015). Why would a Soviet spy be a leftist hero? Alger Hiss was educated at Harvard Law School. He clerked for Supreme Court Justice Oliver Wendell Holmes and was even in the delegation at the Yalta Conference where Franklin D. Roosevelt, Winston Churchill and Joseph Stalin divided up Europe. He was right there—and he was a Soviet spy. Through Hiss, the Communists were actually penetrating the Truman administration; he was in high places in the State Department. Apparently the left likes Soviet spies, because when Richard Nixon brought Hiss down, he made himself a target. Shepard told Townhall, “And what happened in Watergate, if you look at it in retrospect, the eastern liberal elites got control of the special prosecutor’s office, and they had a power to prosecute. They criminalized prosecution. They staffed the place with all their friends” (ibid). He proves this in his book. Soviet spy Alger Hiss was “one of their own.” He came right out of Harvard, America’s top university! These highly educated people had that spirit even then, and they wanted to get control of the government. Most of these people hate the Constitution, the supreme law of the land! They are lawless! They can’t stand to be constrained by the Constitution and law. The Watergate scandal wasnothingcompared to what these people did behind the scenes. They violated the Constitution time after time because they have no respect for it. They have such towering respect for their own intellect that they think they know more than the Founding Fathers! This has led the U.S. into catastrophic problems. We must keep in mind that they have a plan: Their sole purpose is to destroy the government of the land. 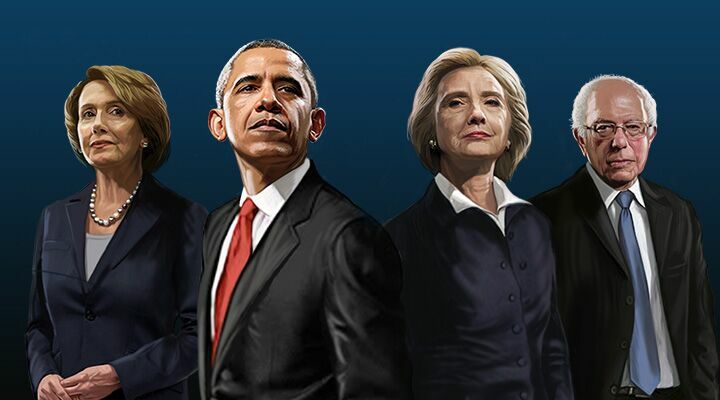 They seek to destroy the whole American system and replace it with another, which is really communism and tyranny. They want all of America looking to one man—like Russia looked to Stalin! “John Sirica is a disgrace to the federal judiciary,” Shepard told Townhall (op. cit.). Sirica was the presiding judge over the Watergate trial. He colluded with prosecutors behind closed doors, and they worked everything out together. Judges and lawyers are supposed to remain separate, but Sirica worked with the prosecutors to bring Nixon down. “Watergate prosecutors took the government files with them,” Shepard explained. “These are government documents, and they should have stayed at National Archives and then subject to review with researchers like me. But three of the key prosecutors took their files” (ibid). Why did they take the files? Because they wanted to hide what they were doing. They didn’t want the public to know that they were unjustly destroying a president and tearing down a government! Though he had no real idea of the scope of these activities, Richard Nixon did see through a lot of what these people were doing. He had stopped them—and they hated him for that. They were determined to take him down. You would think Americans would love the Constitution, but that is not the case in this country anymore. The radical left wants to destroy the Constitution! Many even argue that it is not the supreme law of the land and that we should get rid of it! Most of the educational institutions and the media would like to get rid of it. Even one of the Supreme Court justices said the Constitution is outdated and should not be used. It is shocking how much and how often the government is exposed for being deceitful. Americans have practically come to accept this as a fact of politics today. This thinking is bringing America down! What will you have when the Constitution is destroyed? You will have nightmares like Stalin. What an example he set! Read some of Stalin’s history. He was a madman who imprisoned, exiled and executed millions of his own people! He purged nearly all the top leadership of his army because he was so paranoid about people trying to destroy him. “Actually, the Communist Party is not a mere political party in the sense that Americans think of the term,” Mr. Armstrong wrote. “It is a ruthless, totalitarian dictatorship. It is run with absolute power by a few men at the top, all of whom are completely subservient to one man who is a dictator-absolute! This one-man dictatorship is supposed to be necessary because there are many different interpretations of the Marxist philosophy. Therefore, to prevent division, they must have a supreme interpreter” (Plain Truth, op. cit.). When you give one man that kind of authority and power, it will always bring about a tyranny! “It is not part ofany government. It is a government—a world government, which has set up, and therefore rules the Soviet government in Russia. It is supreme over the Soviet government! Instead of being another political party as part of the party system of American government, it is a foreign government whose sole purpose is to destroy and overthrow the government of the United States and set up a foreign Communist government here instead …” (ibid). We must see that this trend will play out until the final phase: the violent overthrow of the system. There is an additional dimension to this crisis in America: an Antiochus type at the pinnacle of power who is acting like something he is not (request a free copy of my booklet America Under Attack). Barack Obama was influenced as a youth by Frank Marshall Davis, a card-carrying Communist Party member (article, page 2). “Davis’s unflagging support of Stalin’s Soviet Union is apparent in a poem he wrote, lovingly titled, ‘To the Red Army,’” Paul Kengor wrote. The poem reads, “Smash on victory-eating Red warriors! Drive on, oh mighty people’s juggernaut! … Show the marveling multitudes, Americans, British, all your allied brothers, How strong you are, How great you are, How your young tree of new unity, Planted 25 years ago, Bears today the golden fruit of victory!” (op. cit.). Anyone who publicly speaks of this crucial aspect of the president’s personal history is immediately branded a racist. But this is the truth! Davis, Mr. Obama’s mentor, harbored a special hatred for Winston Churchill. Davis said, “[T]he only people Churchill gives a rap about are the white people of the British Empire,” and that Churchill wanted America to join him in bludgeoning “all other countries into submission.” That is a monstrous lie! Churchill was probably the greatest world leader of the 20th century, and the fruits prove it. But after Mr. Obama took office, he got rid of the bust of Winston Churchill in the White House, on loan from Britain. This was a major insult to America’s British allies. Apparently the president really believes Davis’s teaching against Churchill. It was Mr. Obama’s maternal grandfather, Stanley Dunham, who introduced him to Davis, seeking in “Davis the father figure and role model that Obama lacked at home” (ibid). So he needed a father figure. He also had one in Jeremiah Wright. Dr. Kengor wrote in his book The Communist: Frank Marshall Davis—the Untold Story of Barack Obama’s Mentor: “In 1995, an aspiring politician named Barack Obama published an autobiography called Dreams From My Father. There, Obama acknowledged the people who influenced him throughout his life. Among the most prominent influences was the figure that Obama gingerly acknowledged only as ‘Frank’”—referring to Frank Marshall Davis, his mentor. Mr. Obama is not the person most people think he is. He has a manufactured persona that he wants you to see. It is stunning how much and how often the government of this land is exposed for being deceitful. Everything revolves around deceit. Americans have practically come to accept this as a fact of politics today—but it is deeply disturbing and will have dangerous consequences! The leading Republican presidential candidate, Donald Trump, has strongly criticized President Obama for the nuclear deal with Iran and other issues. He said: “The president is just totally inept, unless he has an agenda.” Well, let me tell you, he has an agenda—and he is using it to lead this country to its death! Today we see and hear radical left groups chanting, “You can’t stop the revolution.” Add to that the explosive dynamic of dividing our races. People are preparing themselves for the violent overthrow of the American system! Notice how viciously they are attacking America’s police, the last line of the nation’s defense. After that comes violent chaos and anarchy! Fox News’s Greta Van Susteren reported last August on several recent killings of police officers. She showed over 20,000 names etched in stone at the National Law Enforcement Memorial, and she called on the president to come to that memorial and show support to the police officers and their families. Why don’t we hear from him? Dozens of policemen are being killed. Why won’t the president speak out about that? When one white policeman kills a black thug who was trying to kill him in Ferguson, Missouri, the president creates a furor. But when the police are being gunned down, he won’t speak out. They are viciously attacking America’s police, the last line of the nation’s defense. After that comes violent chaos and anarchy. In Baltimore, authorities are working hard to convict policemen involved in the death of Freddie Gray. Yet this man was a drug addict and a dealer with a long criminal record. If these people are truly looking for justice, why are they going after the police? What will happen when the police are rendered powerless and the military is unprepared? Once the police are handicapped and can’t do anything, it won’t be long before cities burn (Isaiah 1:7). Even if the demonstrators don’t know anything about communism or the radical left, they are still being stirred up by the radical left, the Communists and those who know how to foment unrest. This is all part of the left’s plan to destroy the police! You can’t take over a government and run it unless you get rid of the police who are loyal to the system! Another question: Why would the president release nearly 200,000 illegal immigrants, a number of whom are rapists, robbers and even killers? Weekly or monthly, some illegal immigrant kills an American citizen. Why would anybody want to let those people, who shouldn’t even be here, run around and commit crimes—unless there is an agenda? America’s foreign policy is also incomprehensible—unless there is an agenda. Just take the example of Egypt. Egyptian President Abdel Fattah al-Sisi has come out publicly and told Islamic leaders in his country to purge radicalism from their religion! That is true—and it took courage! But how did America respond? Washington cut off all military aid to Sisi! Why would the president do that unless he had an agenda? Something is sick and diabolical here. Surely we ought to be able to recognize that. Egypt is prophesied in the Bible to align with the Iranian terrorist movement. (Request our free booklet The King of the South.) And the U.S. plays a key role in making it happen! Of course there is an agenda—and it is bad for America. It is time for the American people to wake up! Or is it already too late? The Prophet Hosea says that we allow ourselves “to be mixed up with foreigners …. Foreigners eat away his strength unknown to him” (Hosea 7:8-9; Moffatt translation). Foreigners are eating away America’s strength, yet we don’t even realize it because we have forsaken God. It is amazing how few people will really talk about what is happening. Our people are sick in their reasoning and are faint of heart (Isaiah 1:5). When they see something fearsome, they are afraid to face it! We must know our enemy in order to understand what is going on in America. Revelation 12:12 reveals that Satan is the one behind it all. The devil is full of wrath, and he has gotten control of the government of this land! He controls the radical left. The fruits prove it. These people want to bring this system down. They are deceived (verse 9). Our people don’t understand their Bibles as they once did. They don’t understand the many scriptures about Satan the devil. He has his agenda against America, and it will prevail. Look at what God says about this trend through the Prophet Ezekiel: “Make a chain: for the land is full of bloody crimes, and the city is full of violence. Wherefore I will bring the worst of the heathen, and they shall possess their houses: I will also make the pomp of the strong to cease; and their holy places shall be defiled” (Ezekiel 7:23-24). That prophecy is about America (for proof, request our free book Ezekiel: The End-Time Prophet). “The king shall mourn, and the prince shall be clothed with desolation, and the hands of the people of the land shall be troubled: I will do unto them after their way, and according to their deserts will I judge them; and they shall know that I am the Lord” (verse 27). God blames the people for their sins, not the leaders! America is full of sins—and the whole world sees them! The leader may lead us to destruction, but God blames the people. America’s problems are a direct result of America’s sins. No political candidate is going to “make America great again,” no matter what people think! I would like to see it happen, but it isn’t going to happen in this age. Everyone will come to recognize that truth before much longer! God will make America great again in the World Tomorrow. He is going to solve our problems—in spite of our rebellion. He will save America—and the world—at Jesus Christ’s return, which is what will happen immediately after all these crises climax. Notice the end of verse 27: All the punishment that is coming upon us is intended to bring people back to God. That is good news: In the end, people are going to know God!